If you are a real coffee drinker we are pleased to serve you with our quality coffee, which we have carefully selected from our nurseries to roasting. Should you search for quality coffee you’ll not regret for trying our coffee. 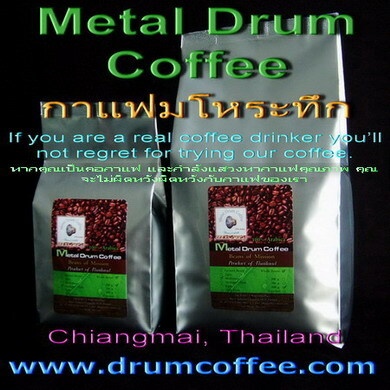 Every cup of Metal Drum Coffee, you are helping us to preserve the forest and helping disadvantaged children in Northern Thailand to receive education.